Background: Microlearning, the acquisition of knowledge or skills in the form of small units, is endorsed by health professions educators as a means of facilitating student learning, training, and continuing education, but it is difficult to define in terms of its features and outcomes. Objective: The goal of this review was to conduct a systematic search of the literature on microlearning in health professions education to identify key concepts, characterize microlearning as an educational strategy, and evaluate pedagogical outcomes experienced by health professions students. Methods: A scoping review was performed in 2018 using the bibliographic databases PubMed (MEDLINE), CINAHL, Education Resources Information Center, Embase, PsycINFO, Education Full Text (H.W. Wilson), and ProQuest Dissertations & Theses Global. A combination of keywords and subject headings related to microlearning, e-learning, or just-in-time learning combined with health professions education were used. No date limits were placed on the search, but inclusion was limited to materials published in English. Pedagogical outcomes were evaluated on the basis of the four-level Kirkpatrick’s model. Results: A total of 3,096 references were retrieved, of which 17 articles were selected after applying the inclusion and exclusion criteria. Articles that met the criteria were published between 2011 and 2018, and their authors were from a range of countries including the United States, China, India, Australia, Canada, Iran, Netherlands, Taiwan, and the United Kingdom. The 17 studies reviewed included various health-related disciplines, such as medicine, nursing, pharmacy, dentistry, and allied health. While microlearning appeared in a variety of subject areas, different technologies, such as podcast, short messaging service, microblogging, and social networking service, were also used. Based on Buchem and Hamelmann’s 10 microlearning concepts, each study satisfied at least 40% of the characteristics while all studies featured concepts of maximum time spent less than 15 minutes as well as content aggregation. According to our assessment of each article using the Kirkpatrick's model, 16 (94%) assessed student reactions to the microlearning (level 1); 14 (82%) evaluated knowledge or skill acquisition (level 2); 5 (29%) measured the effect of the microlearning on student behavior (level 3), and no studies were found at the highest level. Conclusions: Microlearning as an educational strategy has demonstrated a positive effect on the knowledge and confidence of health professions students in performing procedures, retaining medication knowledge, studying, and engaging in collaborative learning. However, downsides to mirolearning include pedagogical discomfort, technology inequalities, and privacy concerns. Future research should look at higher-level outcomes including benefits to patients or practice changes. The findings of this scoping review will inform education researchers, faculty, and academic administrators on the application of microlearning, pinpoint gaps in the literature, and help identify opportunities for instructional designers and subject matter experts to improve course content in didactic and clinical settings. (Toronto, Aug 22nd, 2016) We are pleased to report that JMIR Medical Education (JME) has been accepted by the scientific evaluators at NCBI for indexing in PubMed Central and PubMed. The staff at PubMed Central is currently checking our XML files and finalizing the setup and we expect all articles published since Vol 1 / Iss 1 to be in PubMed Central and PubMed within the next couple of months. The acceptance is the result of a rigorous scientific and technical evaluation by the US National Library's (NLM’s) Library Operations Division, which decided that the scientific and editorial character and quality of JMIR Medical Education merits its inclusion in PMC. In making this decision NLM has considered the suitability of the journal for the NLM collection as well as the opinions of expert consultants. JMIR Medical Education is the 11th journal of JMIR Publications accepted for PMC/Pubmed. Other titles already in PMC/Pubmed include the Journal of Medical Internet Research (JMIR), interactive Journal of Medical Research (i-JMR), JMIR Research Protocols, JMIR mHealth and uHealth, JMIR Medical Informatics, JMIR Serious Games, JMIR Mental Health, JMIR Human Factors, JMIR Public Health and Surveillance and Medicine 2.0. In addition, JMIR Cancer and JMIR Rehabilitation and Assistive Technologies are currently under evaluation. We are still seeking academic leaders in the field of medical education, educational technologies and related fields to apply as section editors, from which an editor-in-chief will be selected. There will be remuneration in form of a credit system, rewarding actions such as taking on papers as submission editor. EB members will also be able to use a small discount for their own papers, or papers they invite from other authors. Prequisites include a scholalry track-record, demonstrated by being a first author on peer-reviewed publications and having served as peer-reviewer (preferably this should include JMIR journals. 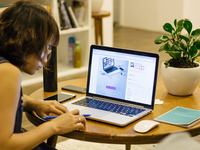 Applicants can self-assign themselves to papers to be peer-reviewed at JMIR Preprints). JMIR Medical Education (JME) is a Pubmed-indexed, peer-reviewed journal with focus on technology, innovation and openess in medical education. Another focus is on how to train health professionals in the use of digital tools. We publish original research, reviews, viewpoint and policy papers on innovation and technology in medical education. As an open access journal we have a special interest in open and free tools and digitial learning objects for medical education, and urge authors to make their tools and learning objects freely available (we may also publish them as Multimedia Appendix). We also invite submissions of non-conventional articles (eg, open medical education material and software resources that are not yet evaluated but free for others to use/implement). In our "Students' Corner", we invite students and trainees in the health professions to submit short essays and viewpoints on all aspects of medical education, but in particular suggestions on how to improve medical education, and suggestions for new technologies, applications and approaches (no article processing fees). A sister journal of the Journal of Medical Internet Research (JMIR), a leading eHealth journal (Impact Factor 2017: 4.671), the scope of JME is broader and includes non-Internet approaches to improve education, training and assessment for medical professionals and allied health professions. Articles published in JME will be submitted to PubMed and Pubmed Central. JME is open access. Background: Students often perceive workplace-based learning as disconnected from what they learn in medical school. Interventions that deal with this issue regularly involve feedback and/or learning aids. Feedback has frequently been encouraged in previous research, whereas the use of aids is less understood. Objective: This study aims to investigate the added value of learning aids in making the connection and enhancing the transfer of learning between medical school and workplace-based learning. Methods: First-year students in postgraduate general practice training participated in a mixed-methods study. Within a quasi-experimental design, two conditions were investigated: (1) students having access to electronic health record (EHR)–embedded learning aids and feedback and (2) students only receiving feedback. Semistructured interviews were conducted and analyzed according to the thematic analysis approach. Results: Forty-four students participated in this study. No significant difference was found between the two conditions (t42=–0.511, P=.61, 95% CI –4.86 to 2.90). Nevertheless, students used the aids frequently and found them useful. Given that the aids were familiar to students and contained practice-based instructions in an easily accessible format, they were perceived as feasible to use during workplace-based learning. They also appeared to stimulate transfer of learning, self-confidence, reflection, and interaction between student and supervisor. Conclusions: Access to EHR-embedded learning aids offers additional support during, but also before and after, patient encounters. The aids can be easily implemented into workplace-based learning. Background: During their studies, pharmacy students must acquire the specific skills in clinical virology required for their subsequent professional practice. Recent experiments on teaching and learning in higher education have shown that hybrid courses strengthen the students’ commitment to learning and enable high-quality knowledge acquisition. Objective: This study concerned the design and deployment of a hybrid course that combines face-to-face and Web-based instruction in clinical virology for fourth-year pharmacy students. The study’s objectives were to (1) measure the students’ level of involvement in the course, (2) gauge their interest in this type of learning, and (3) highlight any associated difficulties. Methods: The study included 194 fourth-year pharmacy students from the Lille Faculty of Pharmacy (University of Lille, Lille, France) between January and June 2017. 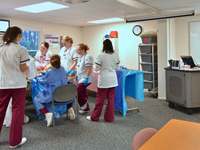 The students followed a hybrid course comprising an online learning module and 5 tutorial sessions in which professional situations were simulated. The learning module and 3 online evaluation sessions were delivered via the Moodle learning management system. Each tutorial session ended with an evaluation. The number of Moodle log-ins, the number of views of learning resources, and the evaluation marks were recorded. The coefficient for the correlation between the marks in the online evaluation and those in the tutorials was calculated. The students’ opinions and level of satisfaction were evaluated via a course questionnaire. Results: The course’s learning resources and Web pages were viewed 21,446 and 3413 times, respectively. Of the 194 students, 188 (96.9%) passed the course (ie, marks of at least 10 out of 20). There was a satisfactory correlation between the marks obtained in the online evaluations and those obtained after the tutorials. The course met the students’ expectations in 53.2% of cases, and 57.4% of the students stated that they were able to work at their own pace. Finally, 26.6% of the students stated that they had difficulty organizing their work around this hybrid course. Conclusions: Our results showed that pharmacy students were strongly in favor of a hybrid course. The levels of attendance and participation were high. However, teachers must be aware that some students will encounter organizational difficulties. Background: Endotracheal intubation (ETI) is a crucial life-saving procedure, where more than 2 failed attempts can lead to further complications or even death. Like all technical skills, ETI requires sufficient practice to perform adequately. Currently, the models used to practice ETI are expensive and, therefore, difficult to access, particularly in the developing world and in settings that lack a dedicated simulation center. Objective: This study aimed to improve access to ETI training by creating a comparable yet cost-effective simulation model producible by 3-dimensional (3D) printers. Methods: Open-source mesh files of relevant anatomy from BodyParts3D were modified through the 3D modeling programs Meshlab (ISTI-CNR) and Blender (Blender Foundation). Several prototypes with varying filaments were tried to optimize the ETI simulation. Results: We have created the novel 3D-printed pediatric ETI model for learners at all levels to practice this airway management skill at negligible costs compared with current simulation models. It is an open-source design available for all medical trainees. Conclusions: Revolutions in cost and ease of use have allowed home and even desktop 3D printers to become widespread. Therefore, open-source access to the ETI model will improve accessibility to medical training in the hopes of optimizing patient care. Background: Telemedicine has grown exponentially in the United States over the past few decades, and contemporary trends in the health care environment are serving to fuel this growth into the future. Therefore, medical schools are learning to incorporate telemedicine competencies into the undergraduate medical education of future physicians so that they can more effectively leverage telemedicine technologies for improving the quality of care, increasing patient access, and reducing health care expense. This review articulates the efforts of allopathic-degree-granting medical schools in the United States to characterize and systematize the learnings that have been generated thus far in the domain of telemedicine training in undergraduate medical education. Objective: The aim of this review was to collect and outline the current experiences and learnings that have been generated as medical schools have sought to implement telemedicine capacity-building into undergraduate medical education. Methods: We performed a mixed-methods review, starting with a literature review via Scopus, tracking with Excel, and an email outreach effort utilizing telemedicine curriculum data gathered by the Liaison Committee on Medical Education. This outreach included 70 institutions and yielded 7 interviews, 4 peer-reviewed research papers, 6 online documents, and 3 completed survey responses. Results: There is an emerging, rich international body of learning being generated in the field of telemedicine training in undergraduate medical education. 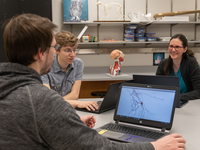 The integration of telemedicine-based lessons, ethics case-studies, clinical rotations, and even teleassessments are being found to offer great value for medical schools and their students. Most medical students find such training to be a valuable component of their preclinical and clinical education for a variety of reasons, which include fostering greater familiarity with telemedicine and increased comfort with applying telemedical approaches in their future careers. Conclusions: These competencies are increasingly important in tackling the challenges facing health care in the 21st century, and further implementation of telemedicine curricula into undergraduate medical education is highly merited. Background: The provision of online educational courses has soared since the creation of the World Wide Web, with most universities offering some degree of distance-based programs. The social constructivist pedagogy is widely accepted as the framework to provide education, but it largely relies on the face-to-face presence of students and faculty to foster a learning environment. The concern with online courses is that this physical interaction is removed, and therefore learning may be diminished. Objective: The Community of Inquiry (CoI) is a framework designed to support the educational experience of such courses. This study aims to examine the characteristics of the CoI across the whole of an entirely online master’s course. Methods: This research used a case study method, using a convergent parallel design to study the interactions described by the CoI model in an online master’s program. The MSc program studied is a postgraduate medical degree for doctors or allied health professionals. Different data sources were used to corroborate this dataset including content analysis of both asynchronous and synchronous discussion forums. Results: This study found that a CoI can be created within the different learning activities of the course. The discussion forums integral to online courses are a rich source of interaction, with the ability to promote social interaction, teaching presence, and cognitive learning. Conclusions: The results show that meaningful interaction between faculty and student can be achieved in online courses, which is important to ensure deep learning and reflection. Background: Electronic learning (e-learning) in postgraduate medical education has seen a rapid evolution; however, we tend to evaluate it only on its primary outcome or learning aim, whereas its effectiveness also depends on its instructional design. We believe it is important to have an overview of all the methods currently used to evaluate e-learning design so that the preferred method may be identified and the next steps needed to continue to evaluate postgraduate medical e-learning may be outlined. Objective: This study aimed to identify and compare the outcomes and methods used to evaluate postgraduate medical e-learning. Methods: We performed a systematic literature review using the Web of Science, PubMed, Education Resources Information Center, and Cumulative Index of Nursing and Allied Health Literature databases. Studies that used postgraduates as participants and evaluated any form of e-learning were included. Studies without any evaluation outcome (eg, just a description of e-learning) were excluded. Results: The initial search identified 5973 articles, of which we used 418 for our analysis. The types of studies were trials, prospective cohorts, case reports, and reviews. The primary outcomes of the included studies were knowledge, skills, and attitude. A total of 12 instruments were used to evaluate a specific primary outcome, such as laparoscopic skills or stress related to training. The secondary outcomes mainly evaluated satisfaction, motivation, efficiency, and usefulness. We found 13 e-learning design methods across 19 studies (4% 19/418). The methods evaluated usability, motivational characteristics, and the use of learning styles or were based on instructional design theories, such as Gagne’s instructional design, the Heidelberg inventory, Kern’s curriculum development steps, and a scale based on the cognitive load theory. Finally, 2 instruments attempted to evaluate several aspects of a design, based on the experience of creating e-learning. Conclusions: Evaluating the effect of e-learning design is complicated. Given the diversity of e-learning methods, there are many ways to carry out such an evaluation, and probably, many ways to do so correctly. However, the current literature shows us that we have yet to reach any form of consensus about which indicators to evaluate. There is a great need for an evaluation tool that is properly constructed, validated, and tested. This could be a more homogeneous way to compare the effects of e-learning and for the authors of e-learning to continue to improve their product. Background: This study presents learner perceptions of a pilot massive open online course (MOOC). Objective: The objective of this study was to explore data collection approaches to help inform future MOOC evaluations on the use of semistructured interviews and the Kirkpatrick evaluation model. 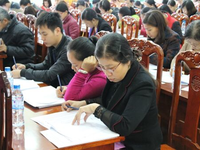 Methods: A total of 191 learners joined 2 course runs of a limited trial of the MOOC. Moreover, 7 learners volunteered to be interviewed for the study. The study design drew on semistructured interviews of 2 learners transcribed and analyzed using Braun and Clark’s method for thematic coding. This limited participant set was used to identify how the Kirkpatrick evaluation model could be used to evaluate further implementations of the course at scale. Results: The study identified several themes that could be used for further analysis. The themes and subthemes include learner background (educational, professional, and topic significance), MOOC learning (learning achievement and MOOC application), and MOOC features (MOOC positives, MOOC negatives, and networking). There were insufficient data points to perform a Kirkpatrick evaluation. Conclusions: Semistructured interviews for MOOC evaluation can provide a valuable in-depth analysis of learners’ experience of the course. However, there must be sufficient data sources to complete a Kirkpatrick evaluation to provide for data triangulation. For example, data from precourse and postcourse surveys, quizzes, and test results could be used to improve the evaluation methodology. Background: Timely and effective dissemination of the latest clinical evidence to health care providers is essential for translating biomedical research into routine patient care. Online platforms offer unique opportunities for dissemination of medical knowledge. Objective: In this study, we report the profiles of health care providers participating in the New York State HIV-HCV-STD Clinical Education Initiative online program and their evaluations of the online continuing professional development courses. Methods: We compiled professional and personal background information of the clinicians who completed at least one online course. We collected their self-reported program evaluation data with regard to the course content, format, knowledge increase, and impact on clinical practice. Results: We recorded a total of 4363 completions of 88 online courses by 1976 unique clinicians during a 12-month study period. The clinicians’ background was diverse in terms of demographics, education levels, professional disciplines, practice years, employment settings, caseloads, and clinical services. The evaluation of online courses was very positive (usefulness/relevance, 91.08%; easy comprehension, 89.09%; knowledgeable trainer, 92.00%; appropriate format, 84.35%; knowledge increase, 48.52%; intention to use knowledge, 85.26%; and plan to change practice, 21.98%). Comparison with the reference data indicated that the online program successfully reached out to the primary care communities. Both the younger generation and the senior health care providers were attracted to the online program. High-quality multimedia resources, flexibility of access, ease of use, and provision of continuing professional development credits contributed to the initial success of this online clinical education program. Conclusions: We have successfully characterized a diverse group of clinicians participating in a statewide online continuing professional development program. The evaluation has shown effective use of online resources to disseminate clinical evidence on HIV, hepatitis C virus, and sexually transmitted disease to primary care clinicians. Background: Flexnerism, or “competency-based medical education,” advocates that formal analytic reasoning, the kind of rational thinking fundamental to the basic sciences, especially the natural sciences, should be the foundation of physicians’ intellectual training. The complexity of 21st century health care requires rethinking of current (medical) educational paradigms. In this “Millennial Era,” promulgation of the tenets of Flexnerism in undergraduate medical education requires a design and blueprint of innovative pedagogical strategies, as the targeted learners are millennials (designated as generation-Y medical students). Objective: The aim of this proof-of-concept study was to identify the specific social media app platforms that are selectively preferred by generation-Y medical students in undergraduate medical education. In addition, we aimed to explore if these preferred social media apps can be used to design an effective pedagogical strategy in order to disseminate course learning objectives in the preclinical phase of a spiral curriculum. Methods: A cross-sectional survey was conducted by distributing a 17-item questionnaire among the first- and second-year medical students in the preclinical phase at the Mohammed Bin Rashid University of Medicine and Health Science. Results: The study identified YouTube and WhatsApp as the social media app platforms preferred by generation-Y medical students in undergraduate medical education. This study also identified the differences between female and male generation-Y medical students in terms of the use of social media apps in medical education, which we believe will assist instructors in designing pedagogical strategies to integrate social media apps. In addition, we determined the perceptions of generation-Y medical students on the implementation of social media apps in medical education. The pedagogical strategy designed using social media apps and implemented in the Biochemistry course was well accepted by generation-Y medical students and can be translated to any course in the preclinical phase of the medical curriculum. Moreover, the identified limitations of this study provide an understanding of the gaps in research in the integration of social media apps in a medical curriculum catering to generation-Y medical students. Conclusions: 21st century medical education requires effective use of social media app platforms to augment competency-based medical education: Augmentation of Flexnerism in the current scenario is possible only by the adaptation of Twitterism. 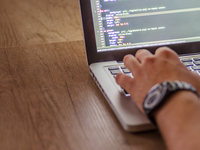 Background: The ability to construct simple computer programs (coding) is being progressively recognized as a life skill. Coding is now being taught to primary-school children worldwide, but current medical students usually lack coding skills, and current measures of computer literacy for medical students focus on the use of software and internet safety. There is a need to train a cohort of doctors who can both practice medicine and engage in the development of useful, innovative technologies to increase efficiency and adapt to the modern medical world. Objective: The aim of the study was to address the following questions: (1) is it possible to teach undergraduate medical students the basics of computer coding in a 2-day course? (2) how do students perceive the value of learning computer coding at medical school? and (3) do students see computer coding as an important skill for future doctors? Methods: We developed a short coding course to teach self-selected cohorts of medical students basic coding. The course included a 2-day introduction on writing software, discussion of computational thinking, and how to discuss projects with mainstream computer scientists, and it was followed on by a 3-week period of self-study during which students completed a project. We explored in focus groups (FGs) whether students thought that coding has a place in the undergraduate medical curriculum. Results: Our results demonstrate that medical students who were complete novices at coding could be taught enough to be able to create simple, usable clinical programs with 2 days of intensive teaching. In addition, 6 major themes emerged from the FGs: (1) making sense of coding, (2) developing the students’ skill set, (3) the value of coding in medicine, research, and business, (4) role of teaching coding in medical schools, (5) the concept of an enjoyable challenge, and (6) comments on the course design. Conclusions: Medical students can acquire usable coding skills in a weekend course. They valued the teaching and identified that, as well as gaining coding skills, they had acquired an understanding of its potential both for their own projects and in health care delivery and research. They considered that coding skills teaching should be offered as an optional part of the medical curriculum. Good clinician-patient communication is essential to provide quality health care and is key to patient-centered care. However, individuals and organizations seeking to improve in this area face significant challenges. A major barrier is the absence of an efficient system for assessing clinicians’ communication skills and providing meaningful, individual-level feedback. The purpose of this paper is to describe the design and creation of the Video-Based Communication Assessment (VCA), an innovative, flexible system for assessing and ultimately enhancing clinicians’ communication skills. We began by developing the VCA concept. Specifically, we determined that it should be convenient and efficient, accessible via computer, tablet, or smartphone; be case based, using video patient vignettes to which users respond as if speaking to the patient in the vignette; be flexible, allowing content to be tailored to the purpose of the assessment; allow incorporation of the patient’s voice by crowdsourcing ratings from analog patients; provide robust feedback including ratings, links to highly rated responses as examples, and learning points; and ultimately, have strong psychometric properties. We collected feedback on the concept and then proceeded to create the system. We identified several important research questions, which will be answered in subsequent studies. 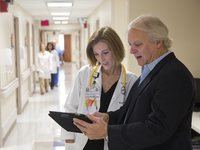 The VCA is a flexible, innovative system for assessing clinician-patient communication. It enables efficient sampling of clinicians’ communication skills, supports crowdsourced ratings of these spoken samples using analog patients, and offers multifaceted feedback reports.